Key Takeaway: Learn how to copy and move slides between lessons when creating course content. 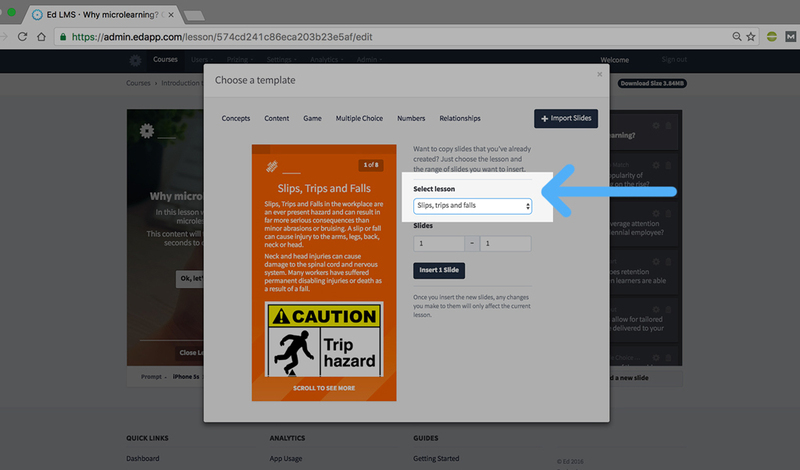 In this article, we will be going over how you can move slides between lessons, and several ways it can be put to use in your own custom learning creation. Sometimes your courses may feature similar content or lesson structures. 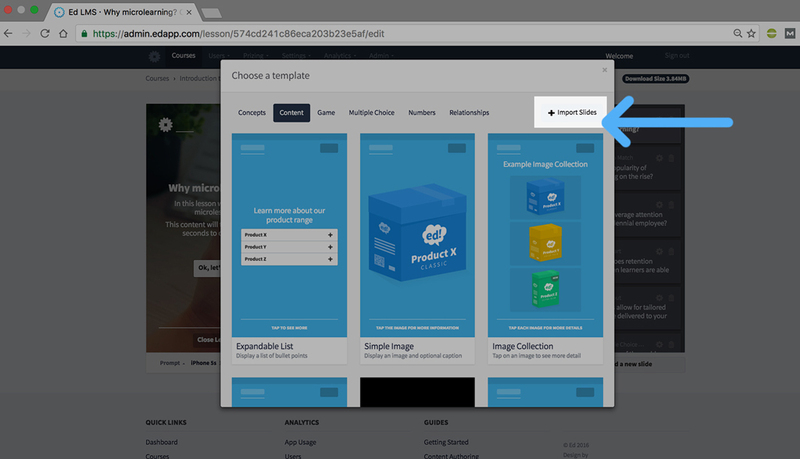 To save you from setting up slides from scratch, you can import established templates from another course or lesson. We have seen this to be especially useful when creating Review lessons. 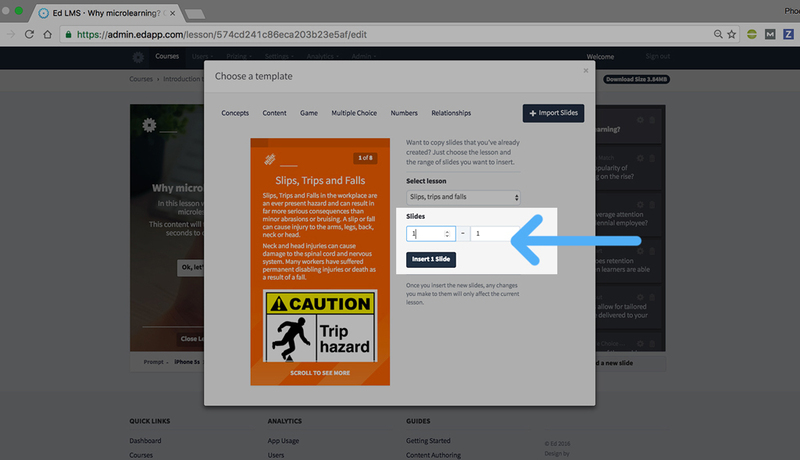 As these lessons are often reiterating content that has already been delivered, this feature will save you much time and hassle. Things change all thing time. We get it. Having the ability to change the structure of a course or lesson provides the flexibility today’s industry requires. 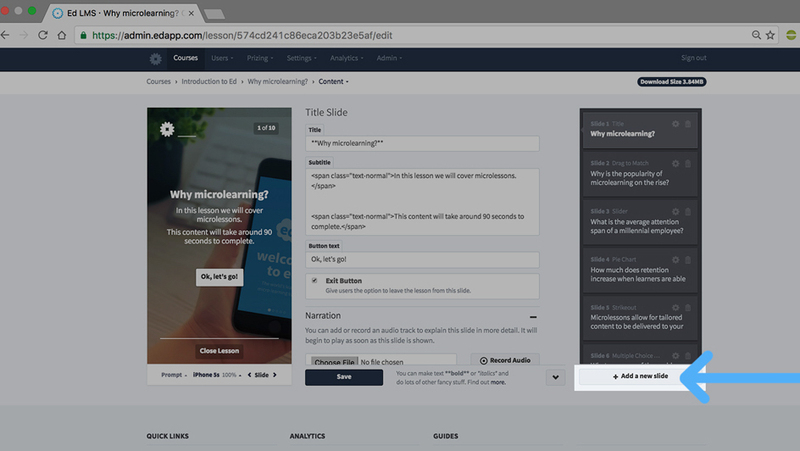 Now you can move slides between lessons to match any changes in lesson plans or simply to help break up your lessons if they are exceeding the ‘micro’ reputation. 4. Determine the slides you want to import then tap ‘Insert’ (all multimedia content will beimported and slide will automatically adopt lesson branding). Now you can either use the slides as they are, or edit ot adapt to your lesson. Be sure to let us know if there are any features you want to see on the Ed Authoring Tool at hello@edapp.com!